Other lounge singers need to move aside. Unleash your crooning voice to the crowd and be prepared for a standing ovation. You'll be captivating on stage and the red sparkly dress mesmerizes even the most rambunctious of crowds. 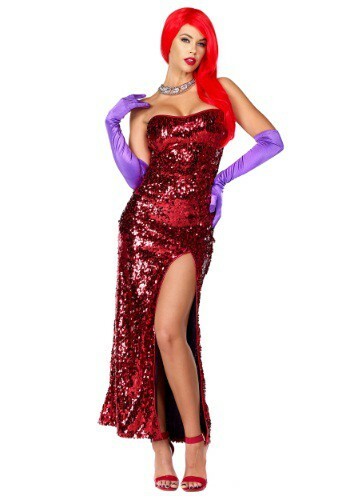 The satin purple gloves, shiny red hair, and the glittery dress combo will steal the spotlight at any party. Men might get a little bummed that your heart belongs to a spunky cartoon rabbit, but they'll get over it...eventually. 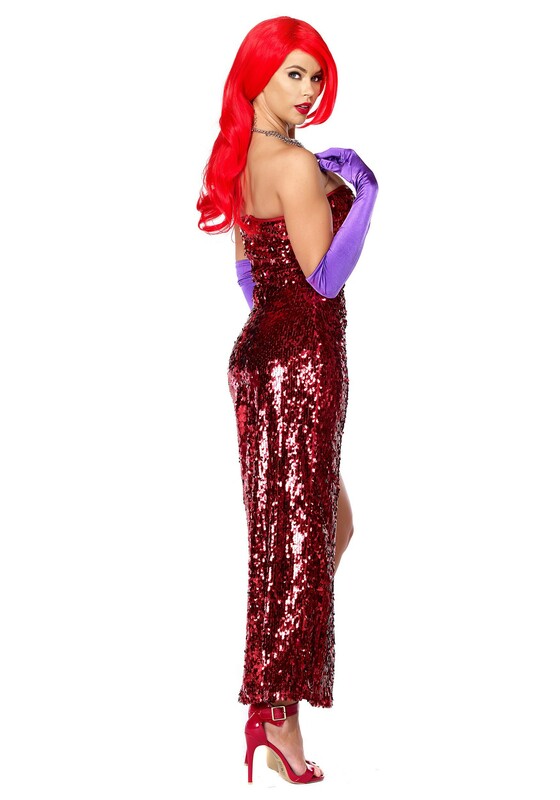 Entertain the crowd with your mysterious dance moves and seductive singing voice while you are dressed as the one and only toon temptress.